On Wednesday, McConnell again blocked a resolution, this time by Sen. Dianne Feinstein, ranking member on the Senate Judiciary Committee, calling for the public release of the Mueller report. The letter relating to Otero County Processing Center in Chaparral claimed the warden placed or threatened to place migrants who complained in solitary confinement, or in barracks with heterosexual men. On Tuesday, Motherboard reported in a major policy shift, Facebook announced it would ban white nationalism and white separatism the same way it has treated white supremacy, on both its Facebook and Instagram platforms. On Thursday, CNN reported Trump has refused to meet with Puerto Rico Gov. Ricardo Rosselló. Aides for Rosselló said at a tense encounter at the White House in Wednesday, Trump aides said they were pushing too hard. On Tuesday, Paula Kerger, the longtime president and CEO of PBS, said in an interview “I wish I knew” why for a third year Trump’s proposed federal budget would zero-out funding for the network. Another reason for lag is the high turnover. Brookings Institute found, prior to the McMahon resignation, turnover of top Trump officials was at 66%, including 10 of 22 cabinet positions. 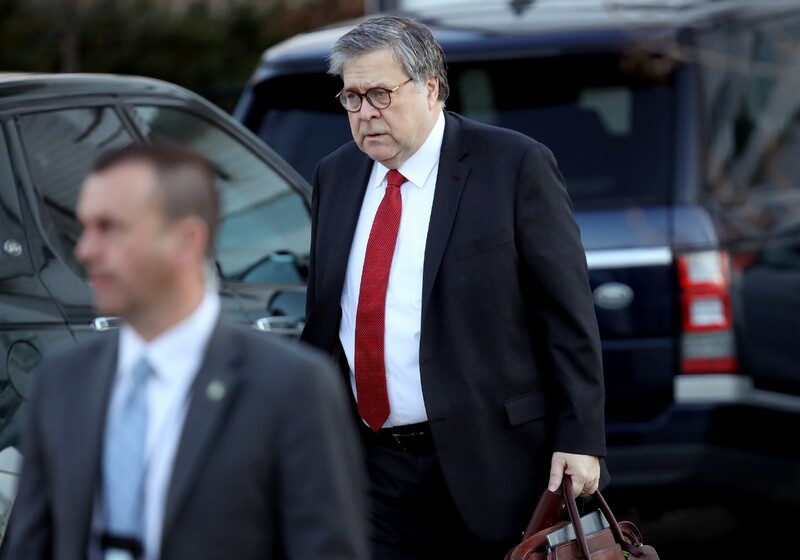 On Saturday, Trump said he would cut hundreds of millions in aid to El Salvador, Honduras, and Guatemala over what he said was their lack of help in stopping the flow of migrants to the U.S.
Attorney General William Barr departs his home March 26, 2019 in McLean, Virginia. Democratic members of the Congress have urged Barr to release the full text of Special Counsel Robert Mueller’s investigation into Russian interference in the 2016 presidential election and possible obstruction of justice charges against Trump.